Is it a bird? Is it a plane? No! It's Superma...no wait, that's not quite right. It is, however, a new episode of Dark Insight! This week, hosts Josh and Bryan are joined by friend of the show and debut guest, Dave Cox, who hosts the Monster Dear Monster and Crouching Tiger Hidden Podcast shows, both of which are very much worth listening to! After the customary weather report, we discuss the (unsurprising, yet still bold) news that Call of Duty Modern Warfare Remastered is getting a stand alone release, the fact that Atari is due to be releasing a brand new piece of hardware, Josh flies off the handle about Hitman, YET AGAIN, and urges people to play it because he's a broken record. Please play it. We also mention the Steam sale and how nobody has any money left now. After a quick check in with Josh's thoughts on E3, we get into what we've been playing which includes The Surge, Black, Splinter Cell: Chaos Theory, Monolith, Torment: Tides of Numenera, Friday the 13th and last, but not least, Sine Mora. Then it's onto listener feedback where lovely members of our community tell us what their favourite monsters in games are. It's an action packed show and we think you'll enjoy it! 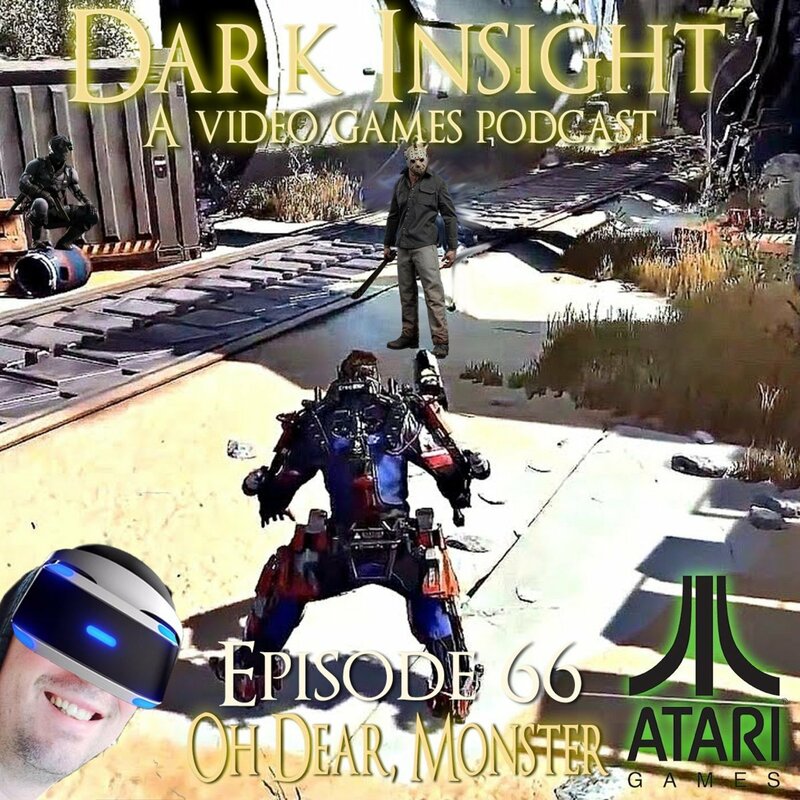 Thanks to everyone for listening, please be sure to subscribe and leave us a rating on iTunes as it really helps us out, and you can find all of our social media stuff, as well as links to all the guests we've had on thus far, at darkinsight.net and we'll see you with a new episode next week! Also, if you've read this far, it's worth noting that Jeremy usually writes these up but this time it's Josh doing it. As a direct consequence of this, there's no spelling mistakes present hahahaha.